Thanks to Basecamp Pub in Lisle for hosting our 2nd Inspiring Hope Auction. Hundreds were in attendance and fun was had by all. We had some awesome auction items donated such as: Sports packages, weekend getaways, dining experiences and so much more. Many beautiful gifts were donated to help raise funds for our mission of empowering under resourced youth. We were hosted by Steve Cochran of WGN Radio and Eric Bramlett of Community Christian Church and Epic Theater, Naperville, IL and entertainment by Of Nashville,TN. Savanna Cooke shared her beautiful voice with several numbers and Jim Cooke and many musicians donated their time and talents. Thanks to many supporters of the Chadeffect, we were able to fund our Renovation Of Hope project at Cornerstone Shelter for Boys In Lisle, IL. and fund our scholarship fund to help kids play sports. Thank you to so many who donated their time and talents to making this event a huge success. 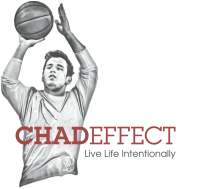 ﻿CHADEFFECT of Chicagoland's 1st Annual Live Auction and Raffle! ​Lee DeWyze. There were several raffle prizes, a 50/50 raffle, and a Live Auction including a Chicago Blackhawks game package and baseball tickets to the Chicago Cubs! In addition to the enjoyment of this event, funds raised will help us provide scholarships to underprivileged youth in the community. Steve Cochran is an American radio broadcaster. He hosts the morning show at WGN in Chicago. He previously worked at WGN from 2000 to 2010! ​Leon James "Lee" DeWyze, Jr. is an American singer-songwriter from Mount Prospect, Illinois, and the winner of the ninth season of American Idol. Prior to Idol, DeWyze had a solo career and formed the Lee DeWyze Band.